Donald Trump’s revolving door of a White House staff has actually received some sort of praise after the ousting of former Department of Veterans Affairs chief David Shulkin. Medical marijuana advocates for American veterans are both hopeful and cautious in reaction to President Donald Trump’s replacement of Shulkin with White House physician Dr. Ronny Jackson, the Cannabist reports. While Shulkin received criticism for his incompetence combined with misappropriation of federal funds during a trip to Europe, the ousted VA chief took heat from several veterans organizations after opting not to conduct scientific research into the medical applications of cannabis. The American Legion is the nation’s largest veterans organization, as well as a major proponent for medical marijuana that has implored the Trump administration, as well as the VA, to allow veterans to legally access medical cannabis. 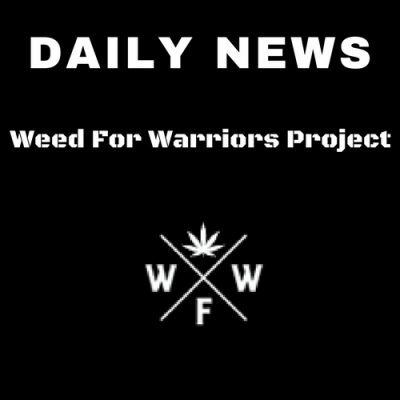 Shulkin’s inactions, which became a hindrance to the first federally-approved clinical trials on marijuana as a treatment for PTSD, also drew negative reactions from the Weed for Warriors Project and its president, Sean Kiernan. “His lack of progress on that topic — meaning providing a meaningful and effective policy to combat these epidemics — is what led me to lose confidence in his leadership,” said Kiernan. The incoming VA chief Ronny Jackson has yet to publicly comment on allowing access to medical cannabis for veterans, leaving advocacy groups ambivalent to the replacement. “Dr. Jackson comprehends via his own service many of the sacrifices these active duty soldiers, marines, and other service members go through, and I must say that is a huge plus,” Kiernan added.